When your company needs to fill key, executive positions, choosing a Milwaukee recruiting firm is your best bet for success. But you may not know enough about the various recruiting agencies available to make the right choice without doing your homework. If you’ve relied on internal recruiting efforts by your human resources department in the past, taking that first step toward using a Milwaukee recruiting firm can be intimidating. Contacting our office and discussing your needs is the first step in the right direction because it will help you clarify what you’re really looking for and give you an introduction to our experience as a recruiting firm. The tips outlined below can help you stay on track and choose the best Milwaukee recruiting firm available, ensuring that you’ll be able to find and hire the ideal person for the position you need to fill. If you choose the Lawler Group, you’ll be working with one of Milwaukee’s finest recruiting firms. We’ll even follow up with your HR people and your new hire after the placement is finished to ensure that all parties are happy and the match is a good fit for your company and your new executive as well. Experience in a particular industry may create a good foundation for a Milwaukee recruiting firm, but not all former industry executives make good recruiters. Be sure to ask plenty of questions about the job they’re recruiting for, how they are screening potential candidates and how they can help you put your best foot forward as a company and an individual. The Lawler Group’s Milwaukee recruiting firm has experience with a variety of industries and has developed an enviable network of associates, colleagues and organizations we can call on for insight and assistance in filling executive positions. Our Milwaukee recruiting firm has the ideal blend of solid industry experience as well as extensive recruiting experience. We’ll be your one-stop shop for every aspect of a successful recruiting effort. Still not sure? Ask for a few references; we’re confident that you’ll hear nothing but good things about us as a premier Milwaukee recruiting firm. You could do a few online searches for executives in your field or you could post your job opening on every known job board, but that won’t get you prime candidates or strong leads. It will get you an in-box stuffed with useless information and the resumes of countless unqualified applicants. Turn over the search to the Lawler Group’s experienced recruiters and you’ll soon discover that online searches are just one small element in our arsenal of powerful recruiting aids. Our database of passive job hunters and industry executives will open up your position to highly qualified candidates you couldn’t have found on your own. Every business has its own corporate identity. When filling an executive level position, our Milwaukee recruiting firm will take your corporate personality into consideration as well as the requirements of the job. There may be recruiting firms that are larger, but that doesn’t mean they have the access to passive job seekers or the right industry networks. Our Milwaukee recruiting firm will work closely with you and your HR department to ensure that you’ll hire an executive who is a good fit not only for the position in question, but the company as a whole. Our access to affiliate recruiters around the world gives us a unique opportunity to fill your position regardless of our Milwaukee location. Are you ready to hire a Milwaukee recruiting firm to fill your latest executive level position? Then it’s time to call the Lawler Group; our successful Milwaukee recruiting firm has been satisfying both employers and employees for forty years. We’ll guide you through the entire recruiting process with an individual contact person who will give you exemplary service tailored to your business’ needs and culture. 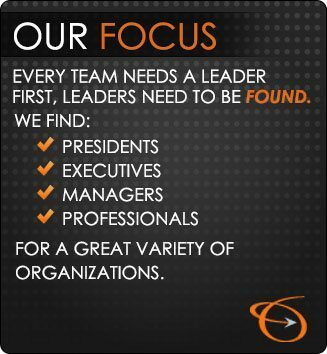 Our goal is to be the Milwaukee recruiting firm you turn to again and again for impressive results every time.